Our dedicated team is focused on providing you the highest quality and most comfortable care possible. We work hard to help you achieve the results you want, all the while ensuring that the process is easy and convenient for you. We are also dedicated to building relationships: our team will help you feel right at home while you are in our care. If you are ready to make an appointment, please call our office at 360-479-1500 or use our online form to send us a message. We will be happy to help you set up a date and time that works best for your schedule. When you first visit Dr. Ruff’s office, you will be greeted by Margaret. 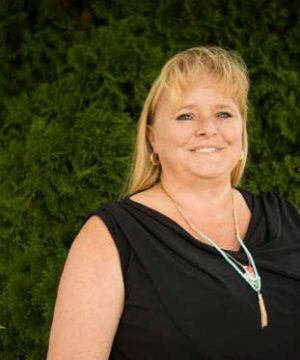 Though new to office management, she has more than 25 years of dental assisting experience under her belt. This experience has helped her make the transition into our front office a smooth one. Margaret has a teenage son with whom she enjoys spending time. When she is not at the office helping patients have a fantastic experience, she enjoys hiking, traveling, visiting family, and spending time outdoors. When you visit Dr. Ruff’s office, you want to know you are in good hands. Misty is one of the friendly faces who will help you feel at ease. She has been working in dentistry for nearly two decades, and you will benefit from her expertise and experience! Misty understands that there is always something new to learn, and she enjoys passing that information to you so you can have a healthier smile. When she is not at the office, Misty enjoys hiking with her dog Harley, and boating with friends and family. Katy is a valued member of our caring staff here at Dr. Ruff’s office. She has been working in the dental field since 2003. Since then, she has understood that the learning never stops! With technology and dental procedures always progressing, Katy is here to help you navigate your options for a healthier smile. Your happy smile is her favorite part of the job! When she is away from the office, Katy enjoys spending time with her kids, having paint nights with friends, spending time outdoors, or relaxing with a movie in the comfort of home. 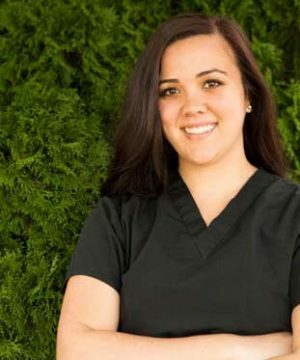 Loretta is a talented, dedicated dental hygienist here at Northwest Dental Healthcare. She has 19 years in the dental field, so you can trust that Loretta has the skills and know-how to give your teeth exactly what they need! Loretta loves being able to educate her patients about how to care for their teeth well. She wants patients to understand that the health of your mouth can affect the health of your entire body! When she is away from the office, Loretta enjoys spending time with her husband and their dogs. They do flyball together and enjoy exciting trips to the park! 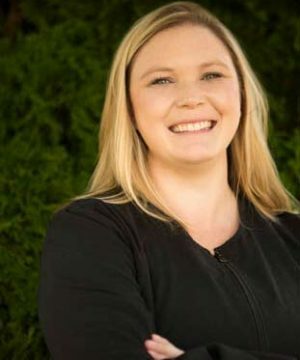 When you visit Northwest Dental Healthcare, you might see Jenn! 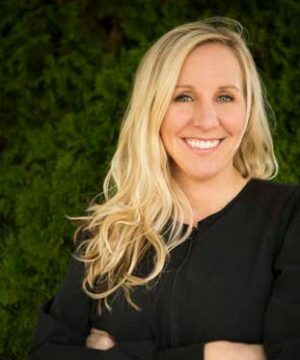 She is a skilled dental hygienist who is passionate about helping her patients maintain great oral health. Jenn has been practicing dental hygiene since 2014, and she always has your best interests in mind. You’ll see that for yourself when she works with you and Dr. Ruff to develop the best plan to achieve your smile goals. When she’s not helping our patients have beautiful smiles, Jenn is busy cheering for the Minnesota Vikings and the LA Dodgers. She also loves traveling, camping, and spending time with her loved ones.